The Holocaust is one of the worst genocides in history and is often remembered for the atrocities committed at the concentration camps that were part of Adolf Hitler’s ‘Final Solution’. In general, concentration camps were labor camps in which generally healthy men were sent to labor for the Nazis. 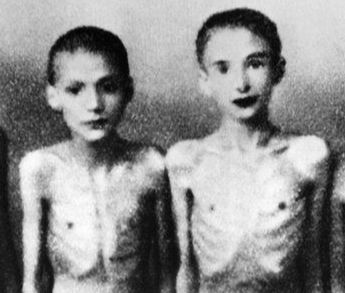 People in concentration camps often died from disease, starvation and poor treatment due to the horrible conditions in which they were forced to live, including: overcrowding, lack of running water, lack of heat, lack of food, tiring and difficult labor, and mistreatment by Nazi guards. However, another important aspect of the concentration camps was the medical experiments that Nazi doctors performed on the prisoners. For example, some prisoners at Auschwitz were also subjected to horrible and cruel medical experiments that were carried out by Josef Mengele who was the senior SS physician at the camp. Josef Mengele was born in Germany on March 16th, 1911. He performed well in school from an early age and by the early 1930s was studying medicine at Goethe University Frankfurt and philosophy at the University of Munich. Eventually, in 1935, he earned a degree in anthropology from the University of Munich. Shortly after, he began working as a researcher on genetics with a focus on twins. His work eventually earned him a doctorate in medicine in 1938. Also during the 1930s, the Nazi Party rose in popularity and eventually captured control of the country. 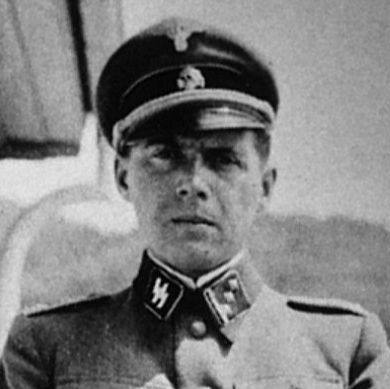 As such, Mengele joined the party in 1937 with the SS and served in the German armed forces throughout the early years of World War II. After being severely injured in 1942, while on active duty, he was reassigned to work in the concentration camp system that Germany had established throughout Poland. He applied to be the senior physician at Auschwitz and arrived in early 1943. By this point, Auschwitz was both a concentration camp and a death camp. 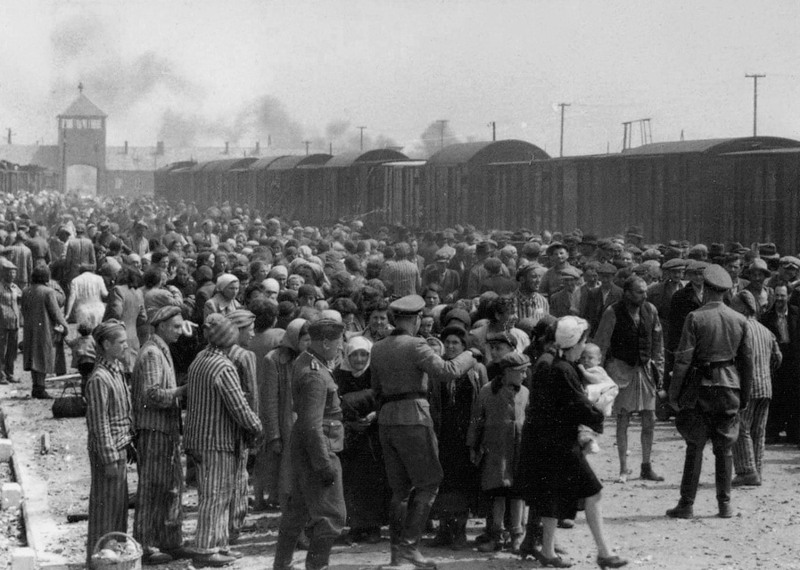 The Nazis transported ‘undesirable’ people (Jewish, Slavic people, etc.) by train from across Europe to the camp. Those deemed fit for labor were sent to work in the concentration camp, while those deemed unfit (elderly, sick, young) were sent for immediate execution in the gas chambers. For Mengele, Auschwitz provided him the opportunity to carry out genetics research on human subjects. He was particularly interested in identical twins and people with physical abnormalities. As a result, he had a laboratory built at Auschwitz that was connected to the crematorium, which was the gas chamber and incinerator. Much of his research was aimed at proving the superiority of the Aryan race and justifying the practise of eugenics. Prisoners under Mengele’s care were often treated better than those in the other parts of the camp. In general, they received higher quality food and were treated better by the guards. However, they were also subjected to horrible experiments. As a result, Mengele was responsible for the deaths of many at the camp. For example, one particular experiment that Mengele performed involved him infecting one twin with a disease and then killing and dissecting both twins to compare the impacts of the disease. He reportedly killed most of his victims by inject chloroform directly into their hearts. Other times, he injected chemicals into the eyes of living children in an attempt to change their eye color. Another experiment that he supervised was operation in which two gypsy children were sewn together to create conjoined twins. The hands of the children became badly infected where the veins had been reconnected and they died. Most of his victims did not live longer than a few weeks and some were killed along with others in the gas chambers. Mengele performed experiments on children. In general though, Nazi doctors were tasked with carrying out research on prisoners to better develop medical treatments for Nazi soldiers. As such, Mengele and other Nazi doctors conducted experiments testing the limits of the human body, including: isolation endurance, injections with lethal germs, and the removal of organs and limbs. By 1944, the balance of power in World War II had shifted and the Soviet Union had gained the upper-hand against Nazi Germany. Due to the failure of Operation Barbarossa, which was the German plan of attack against the Soviet Union, Soviet forces pushed their way through Poland and liberated many of the camps. As a result, Mengele fled the camp on January 17th, 1945 and headed west to Nazi controlled territory. Soviet forces liberated Auschwitz on January 27th in 1945, and discovered over 7,500 sick and dying prisoners and hundreds of bodies of those recently killed. Following the end of the war, he obtained a passport and other documents under a fake name and fled to Argentina in South America. 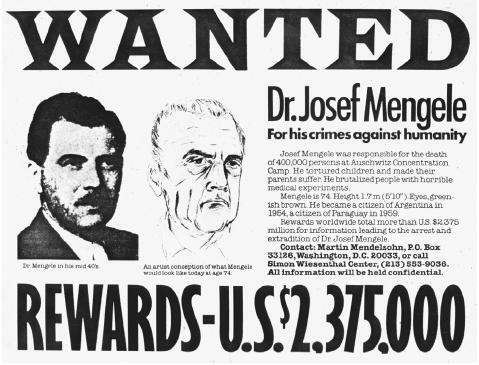 Mengele spent the next several years living in several South American countries, including: Argentina, Paraguay, and Brazil. He moved periodically to avoid being captured. By the 1960s, different groups of Nazi hunters were searching for him based on rumors that he was still alive. For example, Israel led an investigation to find him and bring him to trial for war crimes. However, he avoided capture with the aid of close friends and Nazi sympathizers. By the mid-1970s he was suffering from poor health and died on February 7th in 1979 from a stroke while swimming. Mengele was buried in Brazil under a fake name. In 1985, his remains were exhumed and DNA testing proved his identity. Today he is remembered as a war criminal that used his position as a medical doctor to carry out horrible medical experiments. Some refer to him as the ‘Angel of Death’ in reference to his atrocities. His son visited him in Brazil near the end of his life and reported that Mengele denied hurting anyone and remained unchanged in his Nazi beliefs.